SINGAPORE - Train and selected bus services will be extended on National Day eve (Aug 8), transport operators SMRT and SBS Transit have announced. 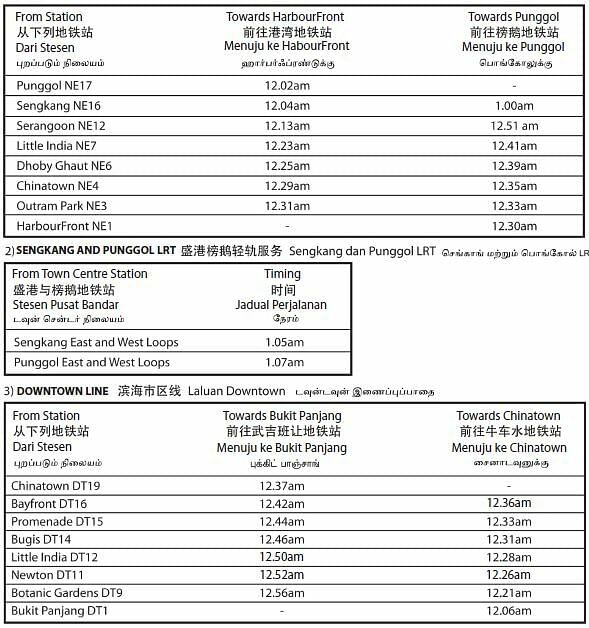 SBS Transit, which operates the North East and Downtown Lines, as well as the Sengkang and Punggol LRT systems, said train services will run for an additional 30 minutes. For instance, the last train in the direction of HarbourFront station on the NEL will leave Punggol station at 12.02am, while the last train in the opposite direction departs HarbourFront at 12.30am. The North South, East West and Circle Lines, as well as the Bukit Panjang LRT, operated by SMRT will see similar extensions. 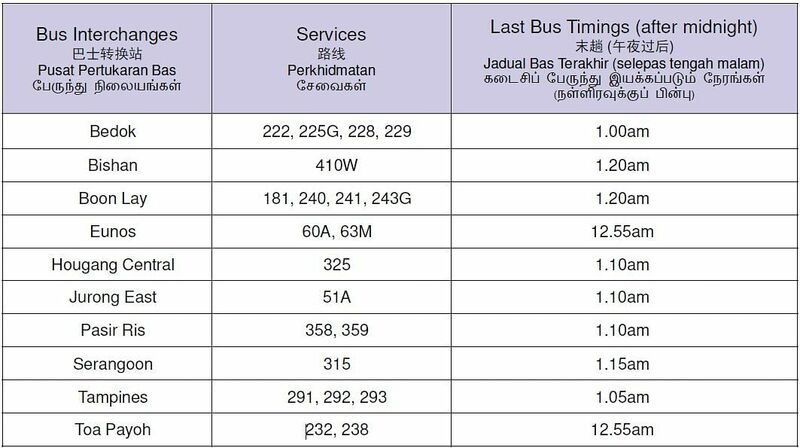 Meanwhile, both operators said selected bus services will have their last bus timings adjusted so that passengers on the last trains can catch their buses. 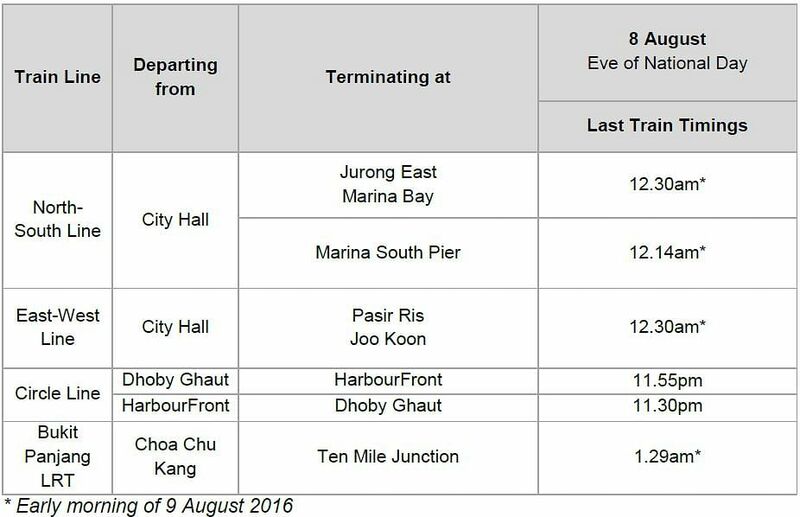 SBS Transit said the operating hours of 21 services at 10 bus interchanges will have their operating hours extended. The same applies for 14 SMRT-operated bus services departing from Bukit Panjang, Choa Chu Kang, Sembawang, Woodlands and Yishun interchanges. For more information, visit the SMRT and SBS Transit websites.